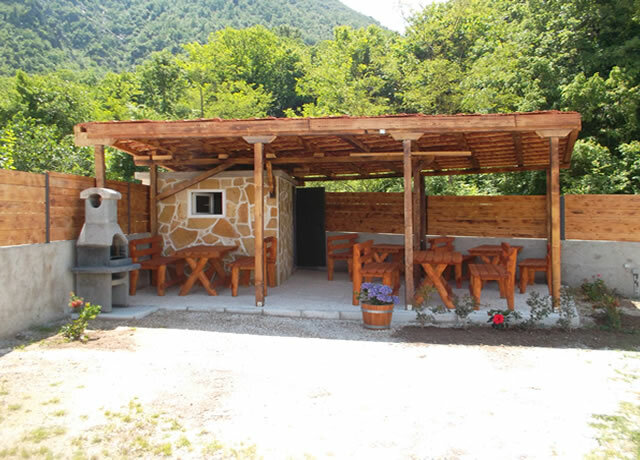 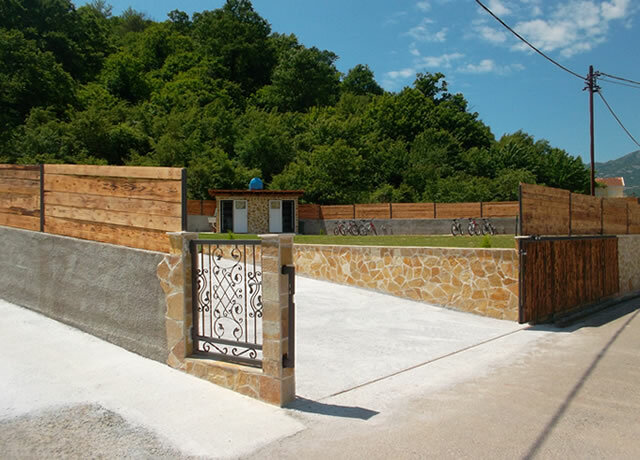 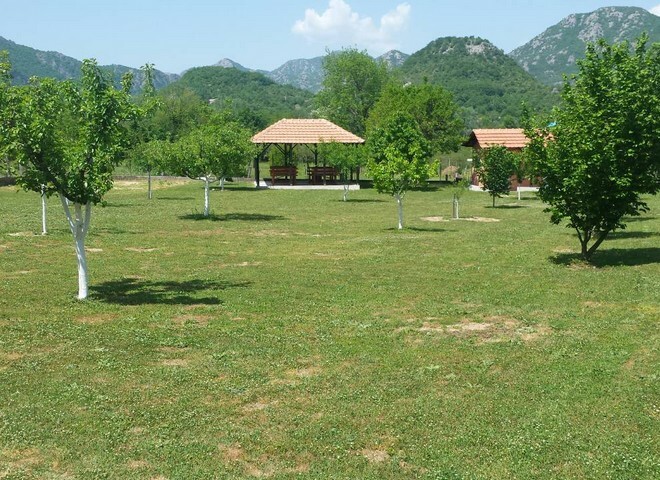 Camp Virpazar is located in the National Park of the Skadar Lake. 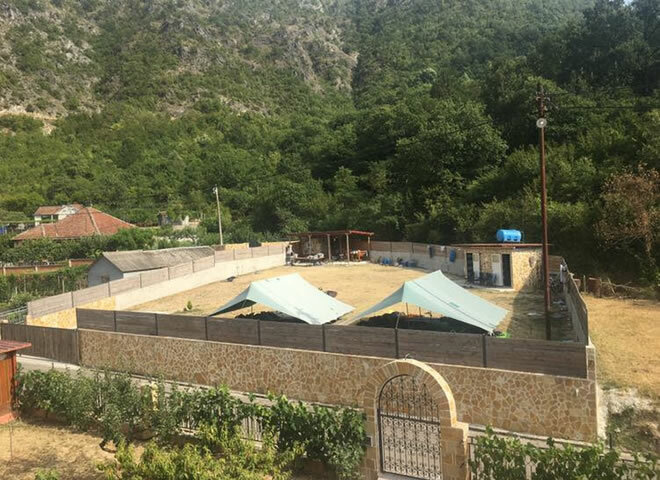 The camp is located just a 15-minute walk from the picturesque fishing village of Virpazar, lying on the oldest wine road of Montenegro. 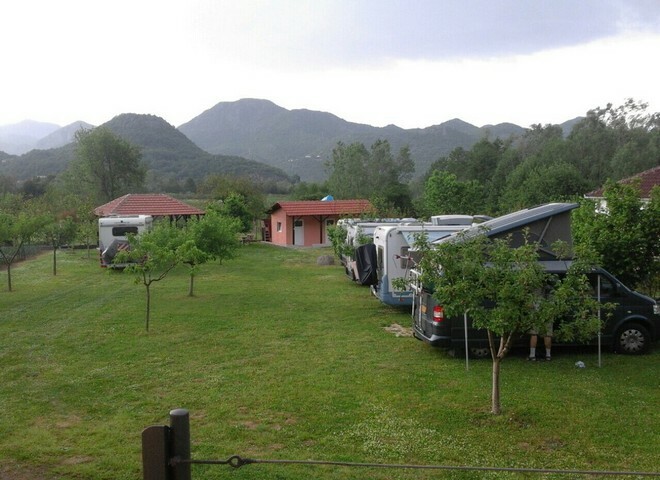 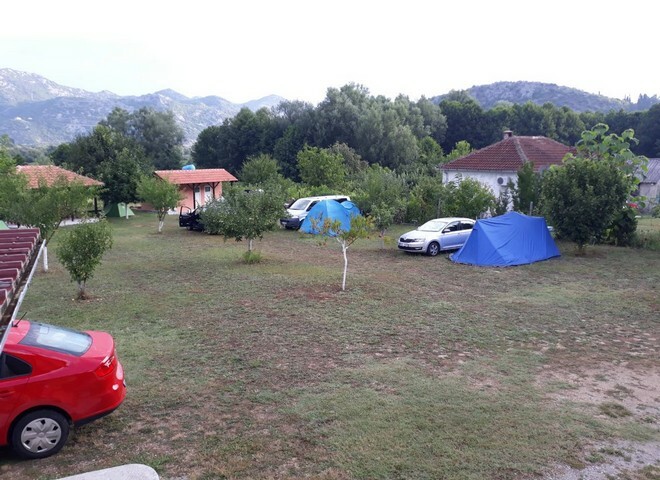 The campsite has a very beautiful view of the mountain landscape of Virpazar and is surrounded by forest.. 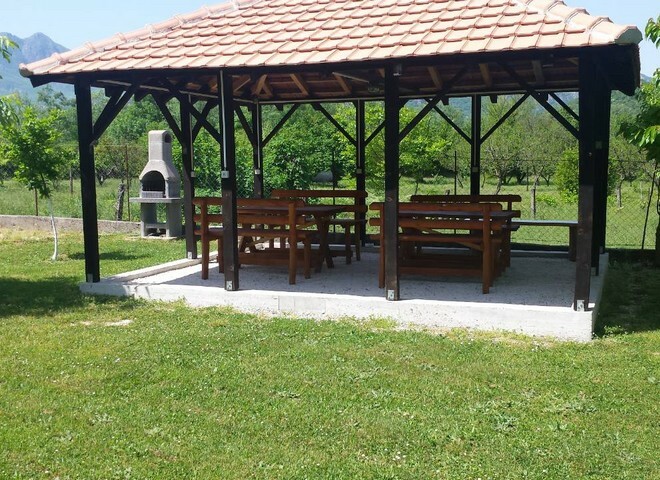 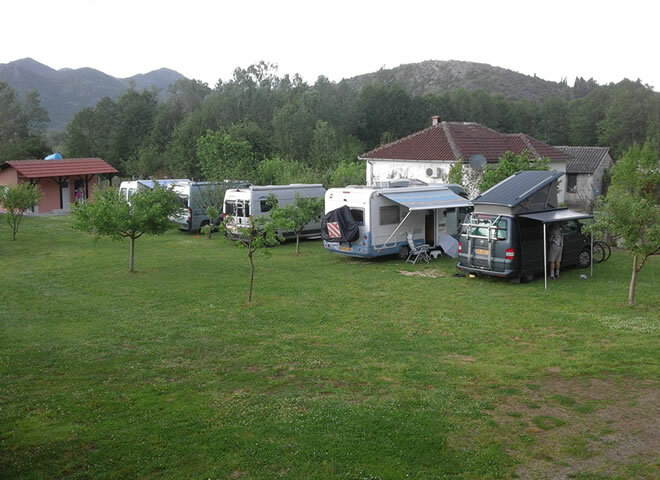 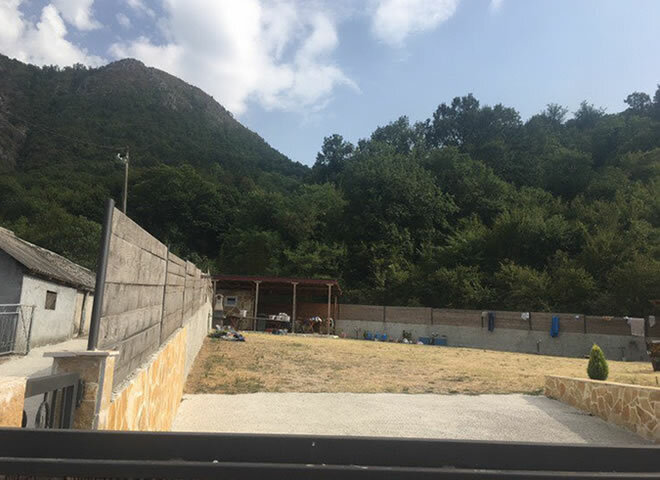 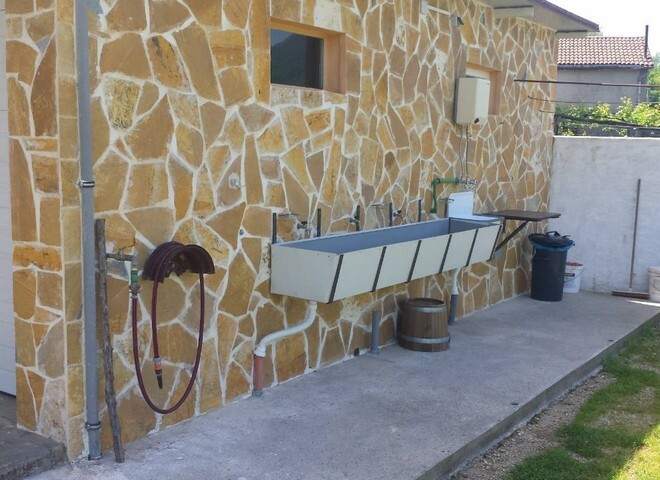 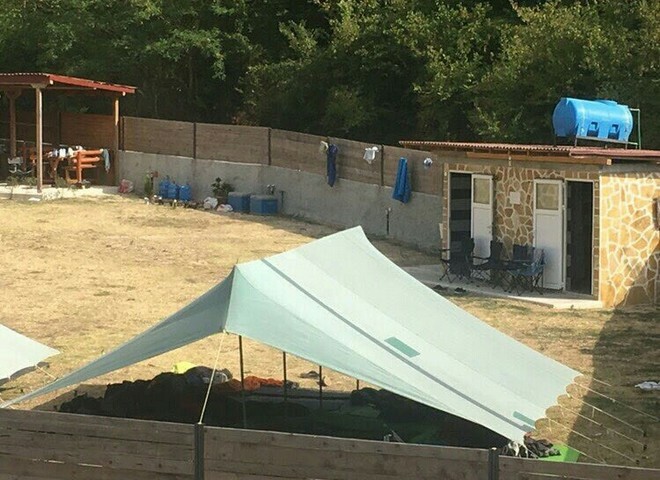 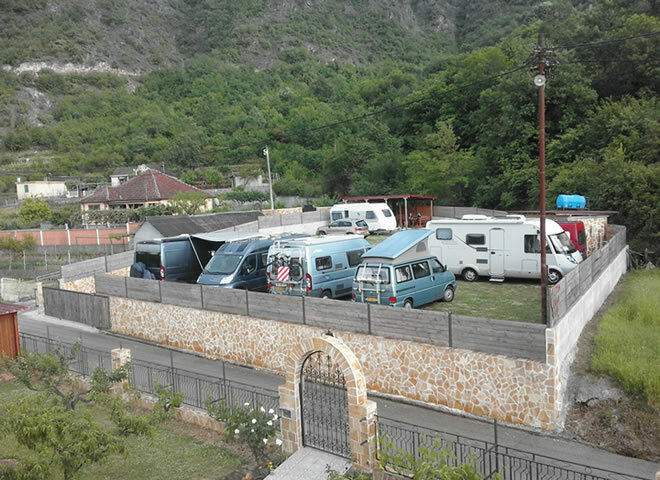 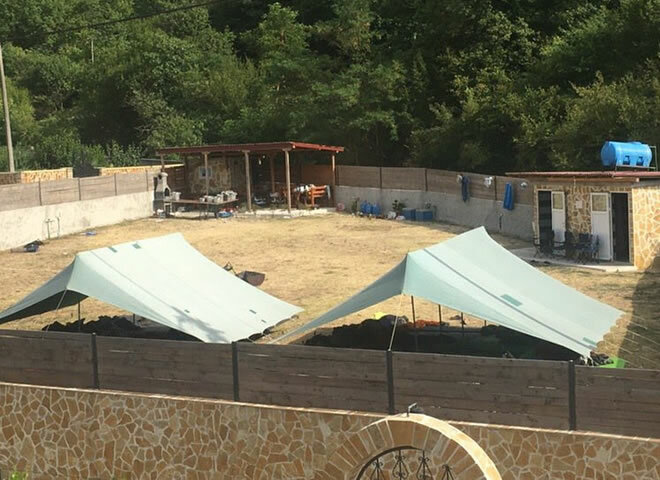 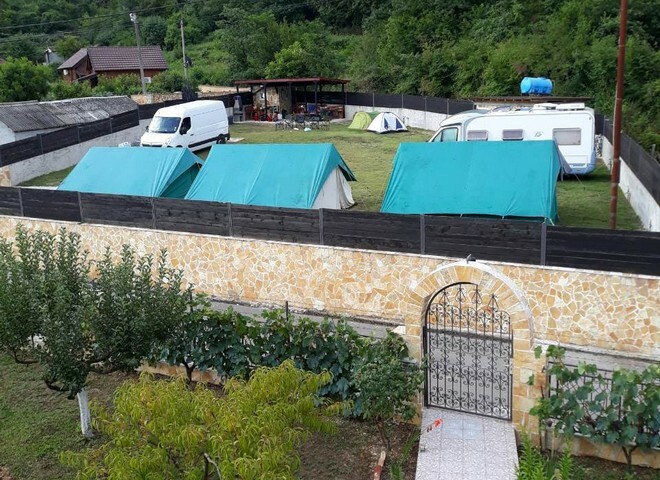 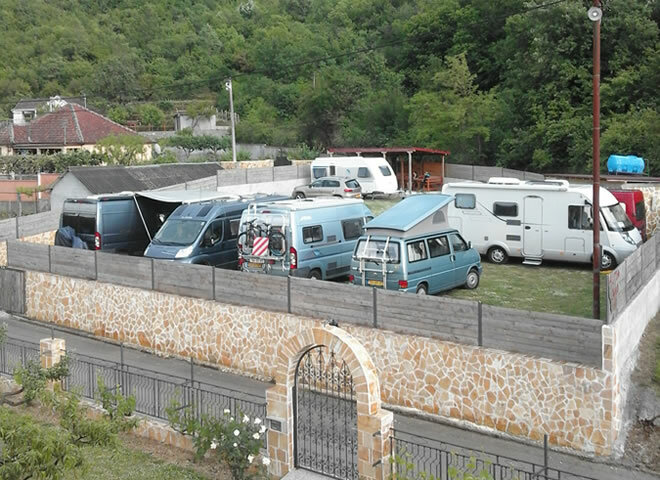 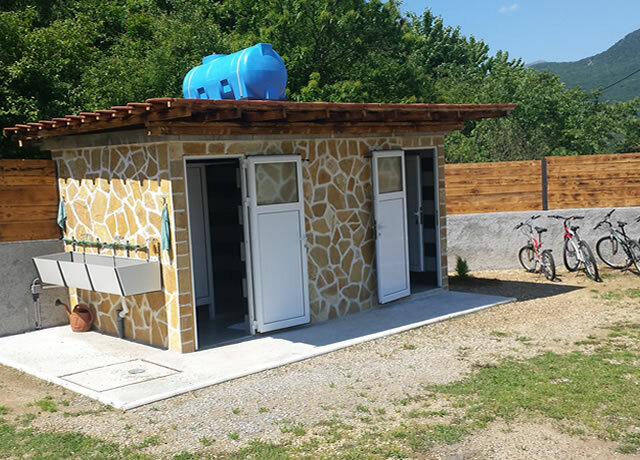 The campsite has 25 fixed pitches with electricity and water connection, as well as shower/WC (warm water) for ladies and gentlemen, as well as a covered dining area with barbecue in the free space on the camp.There is also a kitchen and washing machine but they are not free of charge. 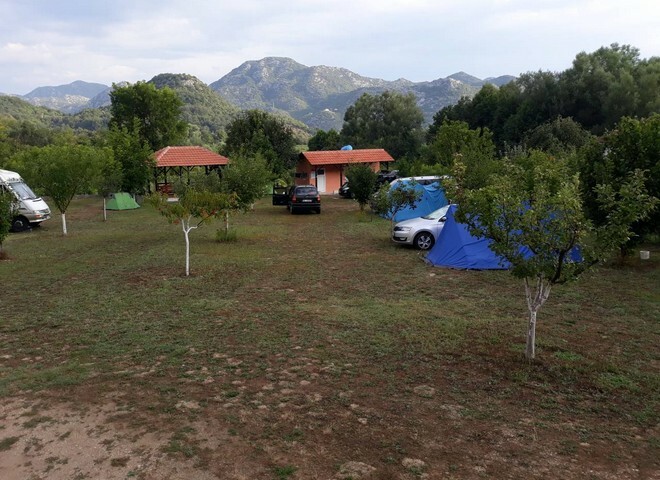 There are about 75 places for guests with tents.For groups of 20 people and a stay of at least 3 days we make SPECIAL OFFER. 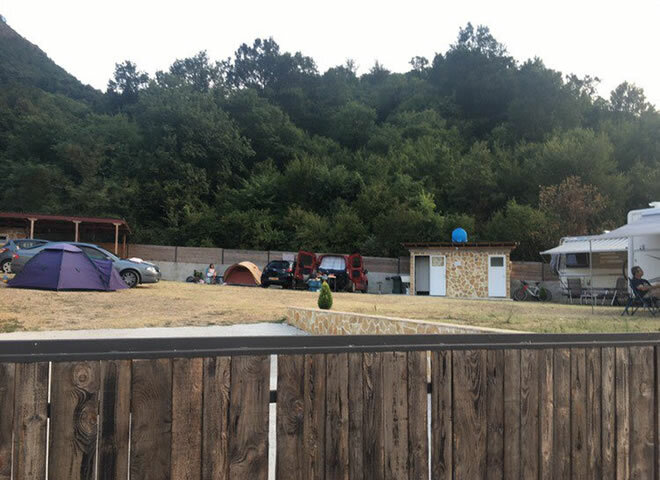 Scouts and Bikers are welcome . 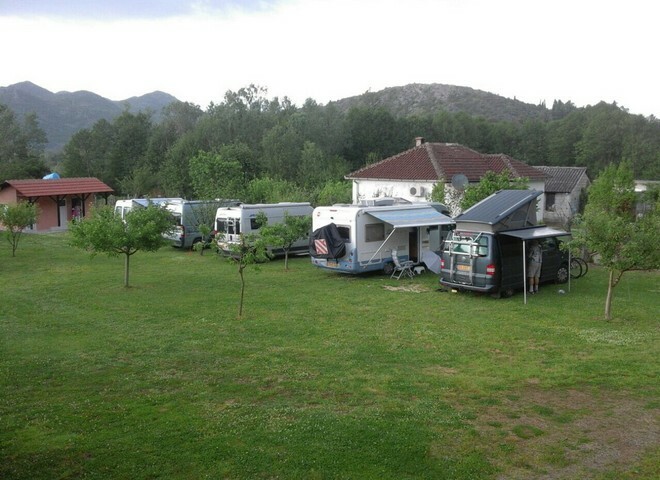 In the prices are included vehicles with 2 Persons.For each additional Person over 12 years is a surcharge of 5€. 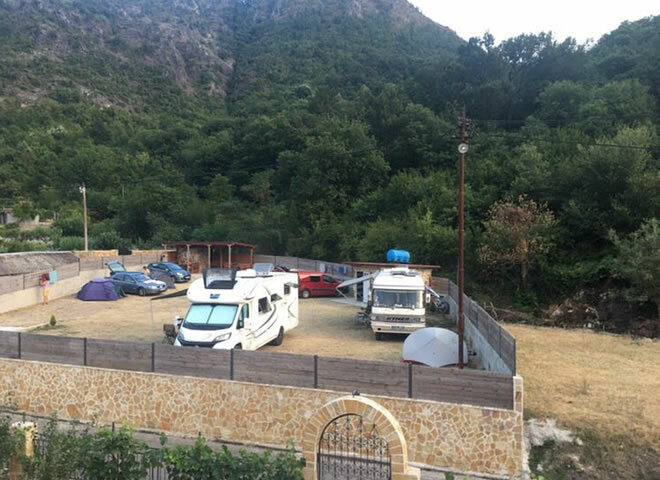 In the price for caravan is included electricity and water connection. The tourist tax of 1.00€ per Person/Day is NOT included in the price. 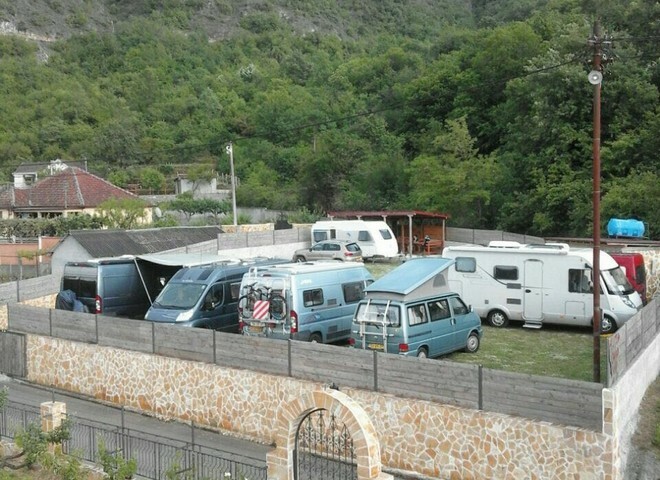 IMPORTANT: THE LOCAL TAX OF €1 PER PERSON / DAY IS NOT INCLUDED IN THE PRICE. 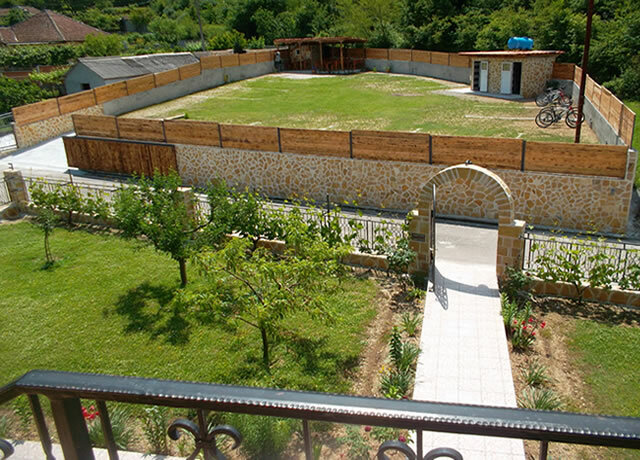 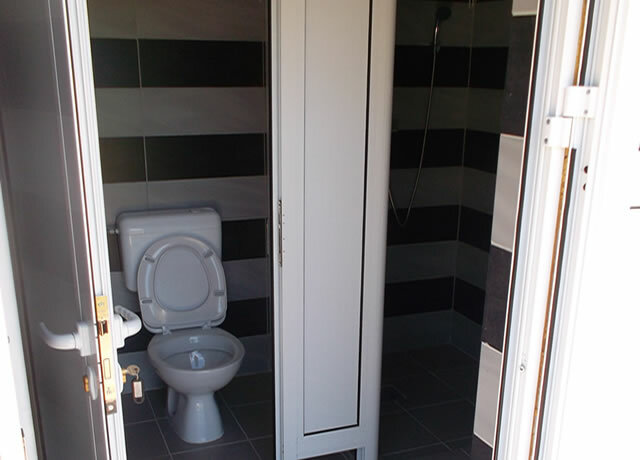 Electricity and water connection are included in the price.